On 6 June the group completed their hike to the summit in dry weather (the people coming up in the next two days were not so lucky) but had to wait a few hours for a first glance onto the red hot lava lake until the clouds around the stratovolcano´s summit and the thick volcanic gasses inside the caldera had temporarily lifted. The next 2 days (7 and 8 June) visibility into the caldera was usually best in the mornings and at intervals during the night, with more clear circumstances in the early morning and right through to dawn and sunrise on the 8th of June.  The world´s largest lava lake (about 220 m across) is situated some 400 m below the rim of Nyiragongo´s summit caldera (a diameter of 1.2 km).